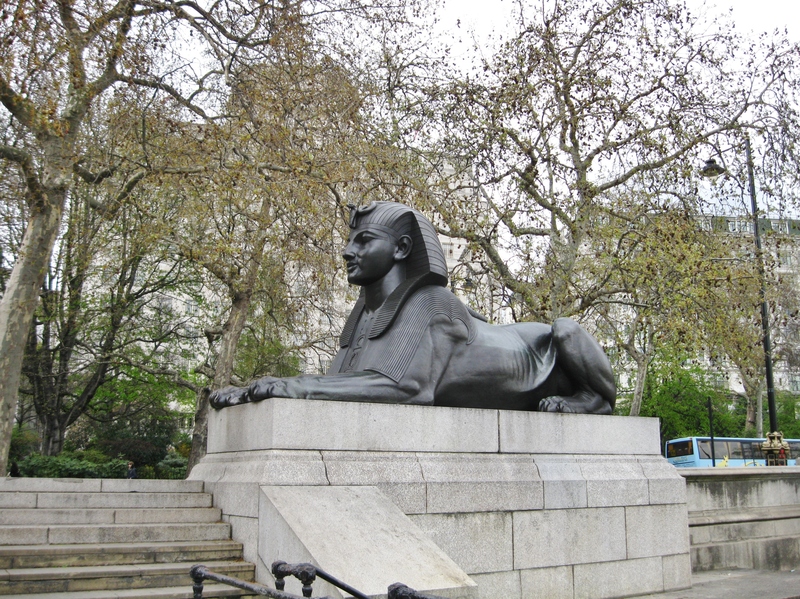 London has a wealth of Egyptian antiquities to see; the British Museum’s vast ancient Egyptian holdings and the collections at the Petrie Museum of Egyptology being the two best examples. 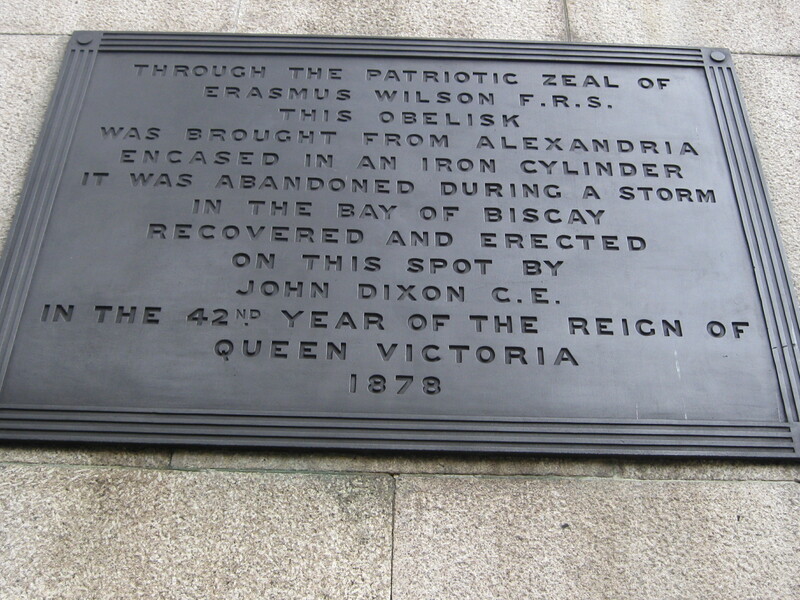 But one needn’t enter a Museum to see a bit of ancient Egypt. 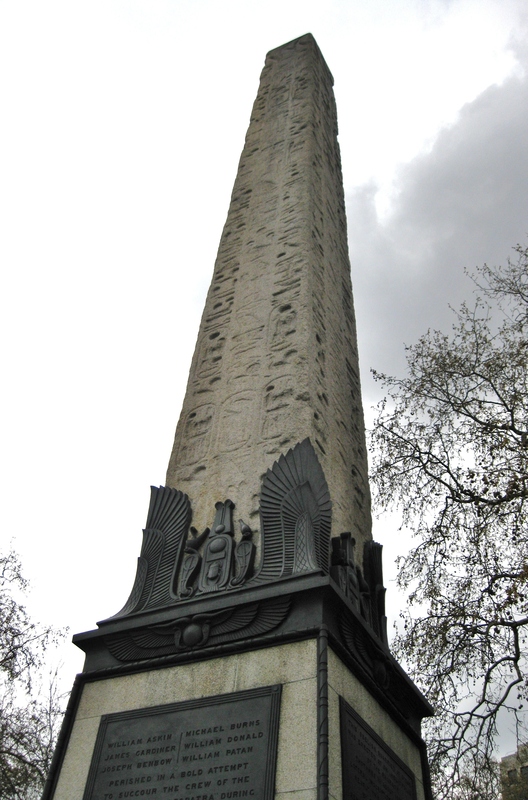 The Egyptian Obelisk of Pharaoh Thutmose III, circa 1450 BCE, now standing in Victoria Embankment Gardens, London, has a remarkable history — Erected by Thutmose at Heliopolis, inscribed 200 years later by Ramses II, moved to Alexandria in the Roman period, given as a gift to the United Kingdom by Mehmet Ali, Viceroy of Egypt, lost in a storm in the Bay of Biscay on the way to England, salvaged and repaired in Spain, finally reaching London January, 1878. It has a twin now in New York City’s Central Park. Weight:180 tons. Height: 68 feet. 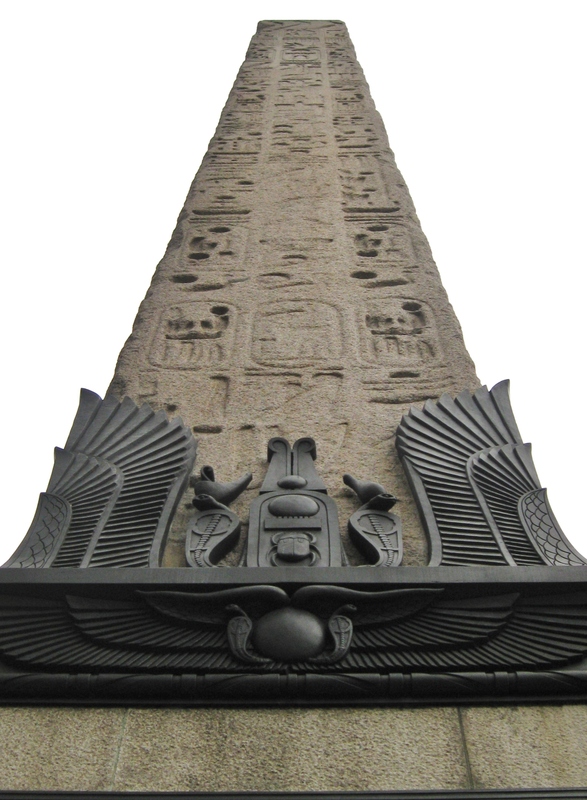 Material: Egyptian granite.